The Intel Aero RTF vehicle includes the Intel Aero compute board, Vision Accessory Kit and a Spektrum DXe transmitter. Within the vehicle is an STM32F427V flight controller board which can run ArduPilot (replacing the pre-loaded non-ArduPilot software). In this way, the higher powered Intel Aero compute board is used as a companion computer. 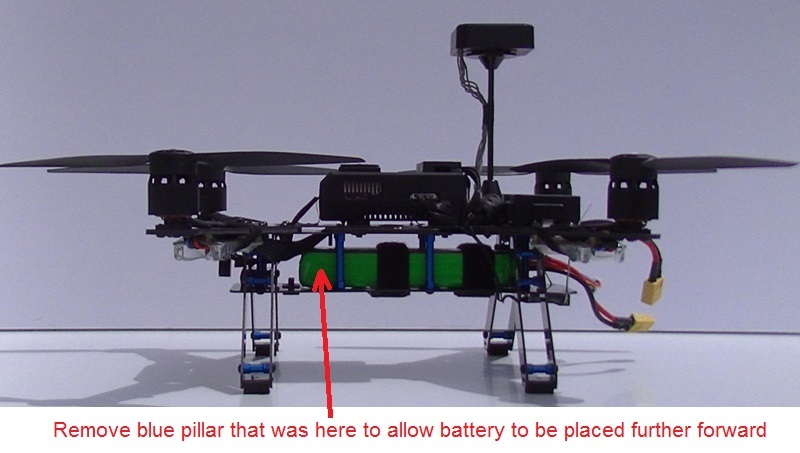 Although “Ready-to-fly” some additional parts are required to complete the upgrade and fly with ArduPilot. 2GB (or larger) USB thumb drive (like this one) is needed for updating to the last release of the Linux distro. 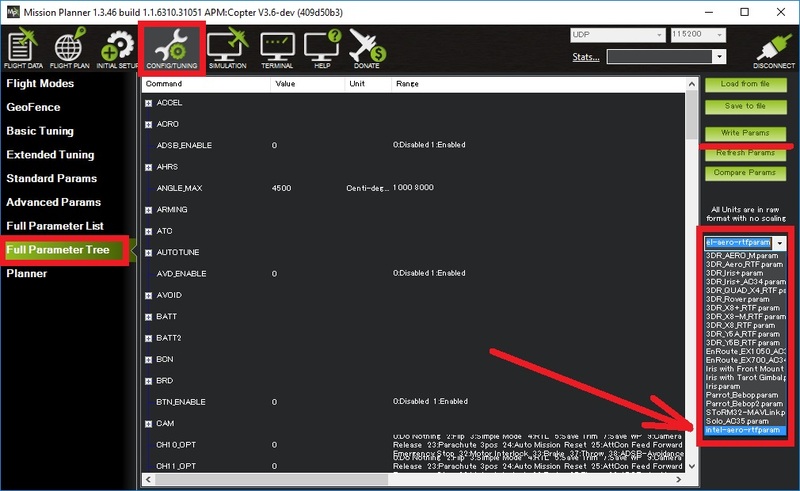 The Aero RTF may not have the last BIOS and Linux operating system. The Linux distro on Aero needs to be updated to version 1.2 in order for the flight controller to be flashed with ArduPilot. The transmitter that comes with the RTF is an off the shelf DSM-X DXe and a SPM4648 receiver, which is of autobind mode. The transmitter should always be powered on before the receiver (which is normally powered together with the vehicle). If powered on after the vehicle it won’t connect. To overcome this you can simply disconnect the cable from the receiver, or go through the binding process, which involves powering on the transmitter while holding the “BIND/PANIC/TRAINER” button pressed. More information about the binding and connectiong can be found on the receiver documentation. the “FLAP” switch is connected to Ch7 so it can be used as an auxiliary switch but position “0” is actually On, “2” is off. In the default configuration the vehicle is tail heavy but its center of gravity can be improved by shifting the battery forward. Either attach the battery to the underside of the vehicle (instead of between the upper and lower platforms) or remove one of the blue pillars as shown above.